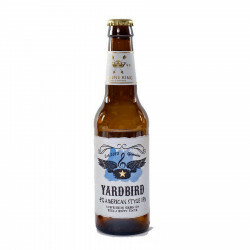 The Yardbird is the new beer from the Greene King brewery. Full of hops and fruity flavours. 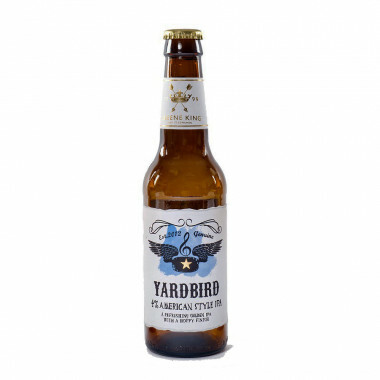 The Greene King brewery's Yardbird beer is imported from England and inspired by an American IPA style. 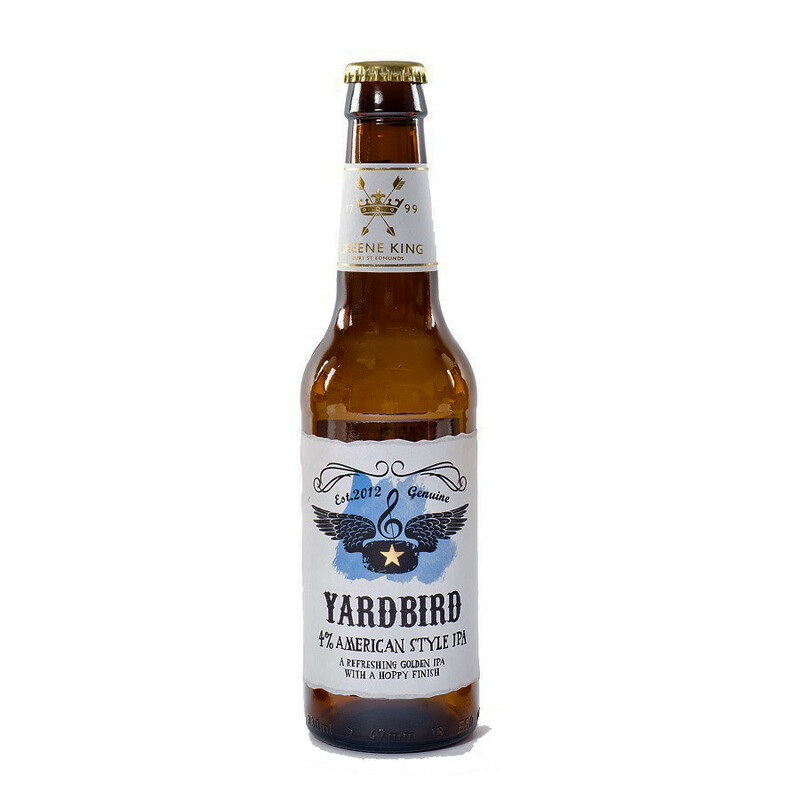 The Yardbird is hoppy, golden with fruity flavours. Tettnang and Willamette hops give notes of tropical fruits, mango and flowers with a certain spicy character. Cascade hops add pink grapefruit. Challenger and Pilgrim hops add a hint of grass and orange peel. Greene King is a brewery located in Bury St Edmunds in Suffolk (Est of Cambridge). Established for over 200 years, the company owns 132 pubs. In 1799, Benjamin Greene started making his own beer. His son Edward, followed his father's tracks in 1868, Frederick King buy buildings close to the Greene family with the intention of becoming a brewerer. The families established a partnership to become Greene King. After a few difficult years during the wars, the brewery goes through a period of modernisation and devolpment thanks to cans, metal casks, pallets and lifting trucks.